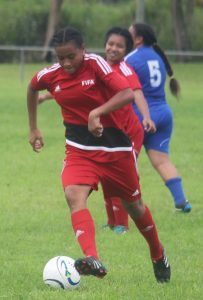 Veitongo United has claimed the 2017 Girls Under 17 champion during the Tonga Football first Girls Under 17 tournament which was fully funded by FIFA under the FIFA Women’s Football Development Programmes that offer Member Associations multifaceted support ranging from expertise, teaching and promotional material to football equipment and financial assistance. In the beginning of this tournament, there were twelve teams registered and all teams received full set of training gears, 15 soccer balls, 20 pairs of soccer boots and transportation funds. These were a great boost to all the teams and they showed their enthusiasm to take part. And over the weekend, the final match took place between Veitongo United and her neighbouring team, Lotohaápai. These two teams they practiced and trained together everyday and and to top it of both team players were related as they grew up in one village, Veitongo. However, Veitongo United proved their more experienced and quick in style with team work to outlast the determined Lotohaápai strongly attacked from their halfway. Although it was not all smooth for Veitongo United as they have been struggling when the Lotohaápai girls marked them tightly but after the first 20 minutes, the Veitongo United started to score 9 goals for the first half. in the second half, Veitongo United played freely especially their midfielder, Seini Lutu, she really fought inside and she did a great job in distributing the ball to her team mates. In the completion of the 90 minutes, Veitongo United nailed down 18 points while Lotohaápai 0. 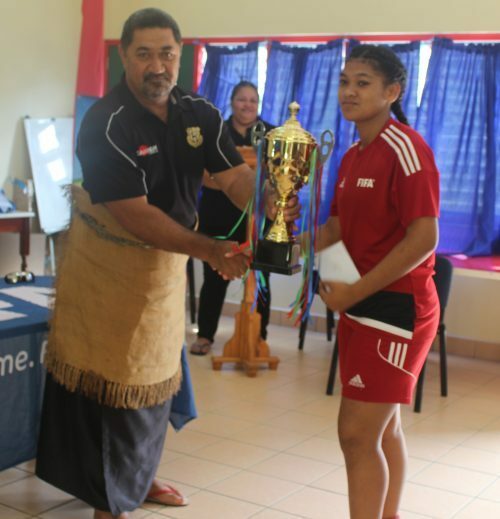 To conclude this final day for the girls U 17 tournament, Tonga Football prepared the prizes to award straight away. The Chairman of the Tonga Football’s Tours and Tournament Committee, Mr. Suliasi Vivili expressed his gratitude to FIFA for their ongoing support also he thanks the women’s club that participated for their commitment. The Tonga Football Association would like to thank all the Women’s clubs, supporters, fan and coaches for the continuous participation. See you all again in 2018. Previous Post Éua tasted their first grass-root tournament! Next PostLutu became a little shining star!